Hey everyone. hope you're well ♡ why do weekends have to go by so quickly?! On the subject of that, I actually spent my weekend doing 'background' blog things (not writing blog posts) but working on pitching to brands for future content and planning exciting things to happen! 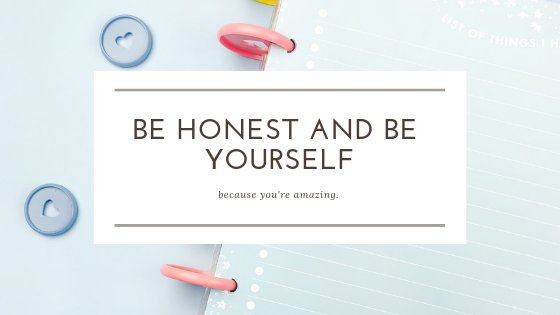 As soon as 2019 began I wanted to work super hard on my blog and actually start getting exciting opportunities - and I knew that it's not something that you wait for, you have to get yourself out there. ♡ First of all, I'd suggest thinking about what brands you want to work with. I'm sure you have your favourites, and sometimes it may be easier to begin with reaching out to a brand that isn't massive. Although that doesn't mean you shouldn't reach out to the big named brands you know and love, go for it. What's the harm in sending them a pitch email, for one they're always on the look out for bloggers to promote their brand/products, and also the only negative might be that you don't get a reply. ♡ Also, don't give up. Contact as many brands as you want and contact them more than once too. I don't mean to email them every single day asking to work with them, but every so often send them an email - perhaps in a certain season they have new products out that you'd like to promote because you love them. Adding onto that, if you find that you're constantly emailing brands but you're getting nothing back - 1. don't get disheartened, there's so many bloggers out there for them to choose from, I guess you just have to try and stand out, and 2. Perhaps if you keep sending pitch's out for months and months and you get no reply that maybe a little tweak of your pitch needs to be done! ♡ Don't worry about your stats too much, of course, brands are going to be excited if you have so many followers or a high DA because that's normal, they want their brand/products to reach as many people as possible - but let me tell ya, that's not everything. My DA is definitely not the highest out there (it's 24) and also my social media and blog following isn't you know, like 10k (in fact it's no where near that.) Basically what I'm trying to say is, if I can get replies back from my pitch emails, then so can YOU! ♡ If it's your first time pitching then I'd recommend pitching to a brand that you love a lot and use their products or services etc quite a bit - just because it's polite to do a bit of research into the brand and if it's a brand that you know and love then you'll already know so much about them. And to be honest, why wouldn't you want to pitch to a brand you absolutely love and adore? ♡ Perhaps try out emailing and independent brand or a smaller business - like on Etsy for an example, for a few reasons, 1. I'm sure they'll be super happy that you'll be promoting their hard work and 2. a lot of smaller businesses reach out to bloggers a lot anyway because that's how their business grows bigger! ♡ If you want more tips and helpful resources have a look at this blog post by Jenny about finding blogging opportunities, it can be difficult sometimes just to decide to write out emails to your favourite brands so if you can go onto the websites, the Facebook pages and the Twitter pages etc that Jenny mention, you'll be sure to find some great opportunities. ♡ When trying to find contacts for the brands, sometimes if you just go onto their website it can be on their contact page, the bottom of the website, or if you still can't find it then just Google 'company name Media Contact' or something along those lines. ♡ You might find also that once you've worked with a brand, if you're polite and make the effort to speak to the brand's PR contact after the blog post (or whatever your collaboration is) then they're likely to 'note' you down (keep you in their blogger database). This means that you might get some more opportunities with them! Now for the email itself. This of course will always be slightly different depending on what brand you pitch too as there's so many out there. So, because of this I shall just do a basic template and you'd likely have to tweak it to fit into the brand you want to pitch to. I'll try and break it down as much as possible, but I'll do it in a order that when you're writing your email you can follow this. #1 To begin with say Hi! Maybe you might have found a contact name so if that is the case you can say 'Hi name, hope you're having a good morning' - something along those lines, obviously depends on the time of the day, or if it's a weekend you can say 'hope you're having a great weekend.' Just start polite and bubbly! #2 This is where you tell them who you are, maybe a few words about yourself - not too long here, because they're going to be busy and they won't want to read a super long email and if you start by talking too much about yourself they'll probably get bored (don't take that to heart though, you're not boring in no way at all and me and so many people will want to know more about you, but just for a pitch email - keep it short and sweet.) My example is: 'My name is Chloe and I'm an influencer/blogger who is bubbly, chatty and I love cats.' Yes I said that in my pitch. 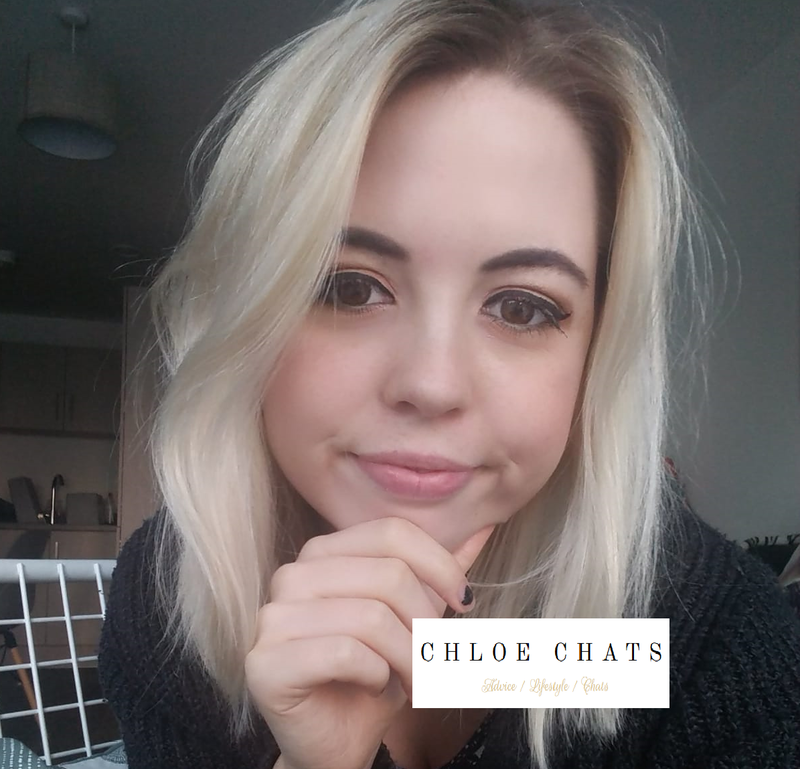 I wanted to get my personality across and I also used the word 'influencer' - I'll admit mainly because I read up a lot about this before and a few other blog posts I read on it mentioned it. Obviously, this section will be pretty different for everyone. But as you can see, it's not super long, it's short and sweet, but pretty much explains what my blog is all about. That's all you really need. Perhaps, if the brand you're contacting is to do with a certain theme then try and tie-in how it can fit your blog. #4 Next up the biggest chunk of the pitch, you need to answer the question - why are you the best person to promote this product/service or whatever it is you're looking to promote. / Explain why you are interested in teaming up with this brand, / why do you want to promote them on your blog? / Even go into what you love about them. This bit is probably the scariest part - it was for me anyway. But, thinking about it now, if you love what they do then it shouldn't be scary - just be honest! If it's a brand that you've used their products for years then tell them exactly that, talk about your favourite product they do. #5 You may not want to do this part if you worry about your stats - but like I said above, it's not all about stats trust me. I would recommend mentioning a few things though, you could mention your DA score, maybe mention how many readers your blog gets a month, or your social media following. Definitely don't lie though, don't tell them you have thousands of followers if you don't - it's important to be honest. This is where I suppose, if you have any kind of media kit you can say you'll attach it to the email but I didn't do this and I still got replies. #6 Wrap it up! Perhaps end it by saying that you would love to write a review on some of their products/services through writing a blog post or promoting on your social media channels. I'd always end it with something like - 'Let me know what you think, looking forward to hearing from you,' or 'Please let me know your thoughts, would love to team up.' Anything along those lines would do nicely. I usually end it with my name and my blog url underneath too. #7 I wanted to add this in, I don't mention money or products in return in the first email, if they email me back saying that they would love to collaborate then that's when I talk about that. I've found anyway that they talk about that in the follow up email anyway - but I guess not all brands may be like that. And that's the basic pitch template. 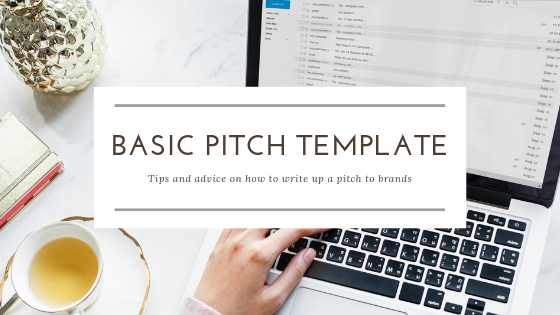 Obviously, other bloggers may do it a tiny bit differently or say things in a different order but that's how I write my basic template - of course, just change it slightly depending on what your blog is about and what brand you're pitching to. I hope this blog post has been helpful! I don't usually post blogging help posts but I really enjoyed writing this and since a fair few of you had asked me to I wanted to help out as many of as possible! If you have any tips to let me know in the comments below, I am always looking for advice! Also if you liked this kind of post then also please do let me know because if it's something you like to read then I would post more for sure. As a new blogger I learned quite a bit here! I'm so busy but I now feel like I will be pitching to brands often! No actual tips, but it was funny seeing ect when it should be etc. This post is soooo perfect because I’ve actually been trying to figure out exactly how I’m going to go about pitching to brands! I love your tips! Thank you! I've finally began the process on reaching out to brands and am torn between feeling excited and nervous! I feel as though I don't have enough stats to back up my benefit to brands. What are some other things I provide to brands as a microinfluencer that are beneficial to them? I started pitching to brands last year - believe it or not, 6 years into blogging and I’ve only JUST started and to be honest, I haven’t had too much luck. Although I haven’t pitched to too many people so maybe now is a good time to get those pitches sent out again! Thanks for this! I hope that one day I will be able to use this, but now I'm slowly growing. Congrats on getting a brand deal! I agree with you about the weekends! I like the idea of a pitch template. If you can make everything easy to work with, your future self will thank you. I like that having a focus on what brands you want to work with, because you won't waste your time on the low value fruits. YESSS on not giving up!!! It takes time and effort - it will pay off. There are a lot of blogging opportunities out there. Honesty is also the best key. Thanks so much for giving super useful tips!! This is such a helpful post. Pitching to brands is something I've really wanted to start this year so such a detailed list of what to include is perfect! Since the beginning of 2019 I'm trying to find new blogging opportunities. Thank you so much for this blog post, it was very useful and interesting to read! I've always been way too scared to pitch myself but this is super helpful - thanks for the tips!